I’m glad to inform you that now you can watch Turner Classic Movies on the mobile and tablet. 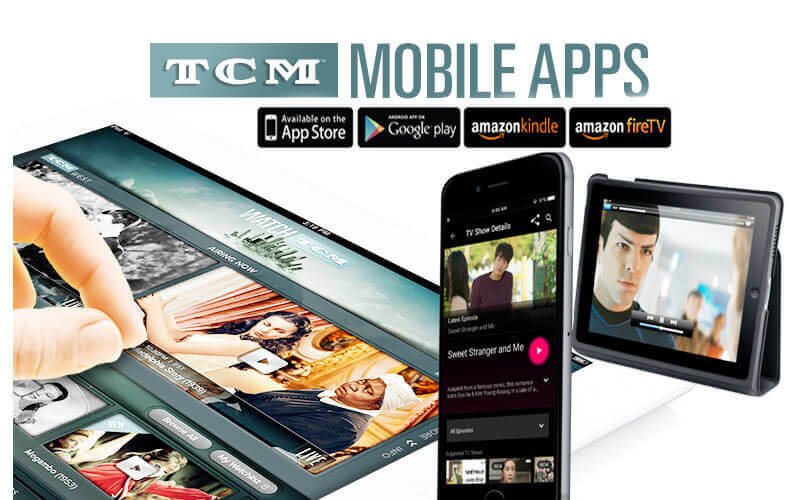 Because Turner entertainment networks officially launched the TCM Mobile app for movies viewers. This mobile app is available for Android and iPhone users. You can view your movies and videos on the smartphone with the on-demand facility. You can also stream the live telecast movies and videos with the schedule facility. Another happiness is for Amazon Fire TV and Amazon Kindle viewers. Turner classic movie is also available on Amazon Kindle and Amazon fire tv. No matter where we are, but you can watch classic movies on the mobile and tablet, tablet and stay connected with the spectacular classic film, TV Series, video, and trailer. it offers free of cost and no hidden charges on streaming videos. So, don’t be confused. Let’s go, download your app and watch your favourite classic movies on demand basis. Turner Network Official Says that he never takes any additional charges or hidden costs for watching turner movies. No hidden charges for live broadcast and on-demand movie titles. And Now, Viewers can watch movies on the mobile app is free of cost. How can we watch movies on TCM Mobile App? First, We need to subscribe to TCM cable TV or Satellite packages at home. If you are unable to use of cable satellite then you can get help from the satellite provider. The satellite provider is currently available on the Watch TCM App. Step-1 Download the Watch TCM App. Step-2 After successful install Watch TCM App. Open the app on your mobile and tablet. Be sure that your cable subscription is running at home. Step-3 Log-in with credentials information given by the cable provider. Step-4 Now, If Log-in has done on your mobile. So you will see your TV service provider logo on the smartphone. If it considers, then you are ready to watch your Classic movies. Enjoy your movies and stay connected to Turner Classic movies, wherever you go. Watch movies anywhere anytime with your TCM schedule. I hope that you would like it. No matter where you are, You can access TCM with your mobile or tablet. Watch TCM App is available at no additional cost with your TV subscription. You can watch and view live telecast with the on-demand facility.you’ll need to log in with your cable or satellite provider username and password. This The app will work on iPhone and Android device only. Previous article How Much is Elin Nordegren’s Net Worth? Next article How do I Watch Free Episodes Online on HBO TV?